Version 14.05 of Smap Server, due at the end of May, will support the drawing of areas and lines on top of maps. You can add these questions in xlsform editor. 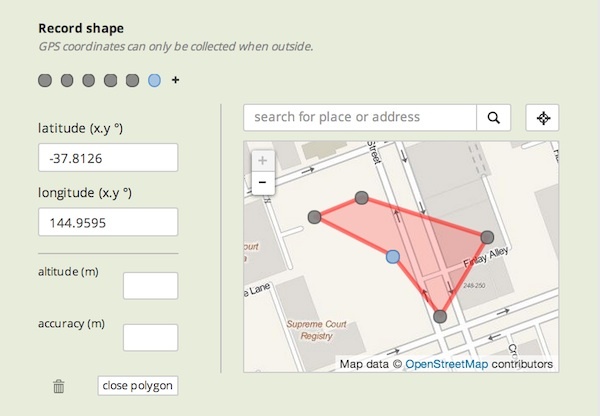 For an area set the question type to “geoshape”. One form per location question! Don’t forget to put each geopoint, geoshape or geotrace question in a separate form. The reason for this is that GIS systems assume that each table has a single location column and that all of the other columns are attributes of that location. In Smap, 1 form becomes 1 table. 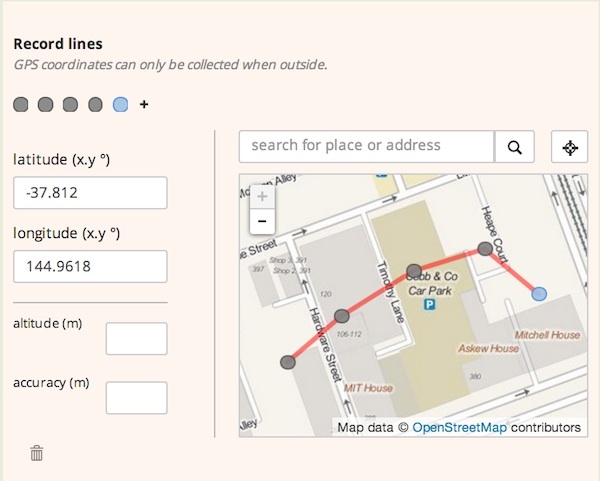 For example if you were recording the location of a water point and a household in one survey you would collect the household data in one form and then the water point data in another form. The household form would contain the location of the household as well as the “attributes” of that location which is the other data about the household. The same goes for the water point. In Smap you specify a different form by enclosing the questions in “Begin repeat” – “End Repeat” question types. You want to record data on each point. For example you may want to record a temperature or a take a picture at each point of a line that you are recording. Geolinestring and geopolygon allow you to add arbitrary questions to each point that is recorded. This entry was posted in Smap Hints and tagged geoshape, geotrace, smap cons, webforms on May 24, 2014 by Neil Penman.